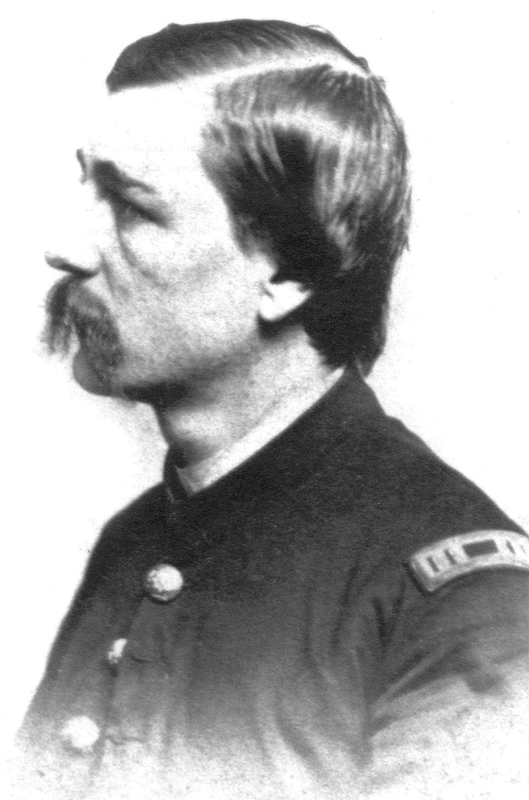 Captain Charles Corbit commanded Company C of the 1st Delaware Cavalry Regiment. He was wounded while leading a mounted charge on the south side of Westminster on June 29, 1863. Some witnesses said his men displayed “an almost suicidal bravery.” This view was taken circa 1863. Gettysburg Licensed Battlefield Guide Hope Coates continues our series on the Battle of Westminster, Maryland. This short fight, was one of those important events that contributed to the delay of Major-General J.E.B. Stuart’s Confederate cavalry from reaching Robert E. Lee’s Army of Northern Virginia before the Battle of Gettysburg began. Hope is a native of Westminster, and has been a Licensed Battlefield Guide since 2006. In our first post Hope introduced us to Westminster, J.E.B. Stuart’s movements, and showed us the location of the railroad. In today’s post she shows us where the fighting occurred through the streets of Westminster. This map shows the location of where our Westminster videos were produced. Video #1 was on the campus of McDaniel College, now known as College Hill. Video #2 was taken on near the railroad. Videos #3 and #4 were taken at the wayside markers at the Mary Shellman House. 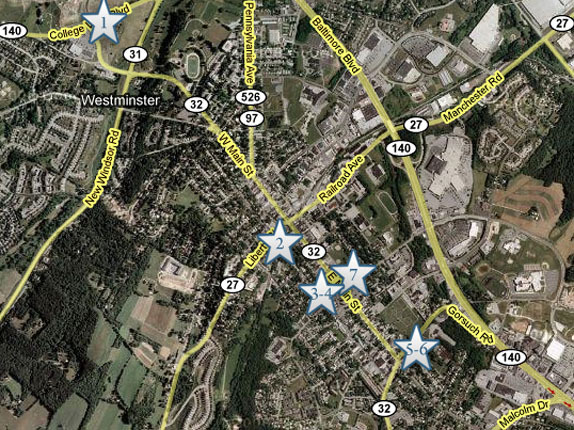 Videos #5 and #6 were taken at the intersection of East Main Street and the Washington Road. 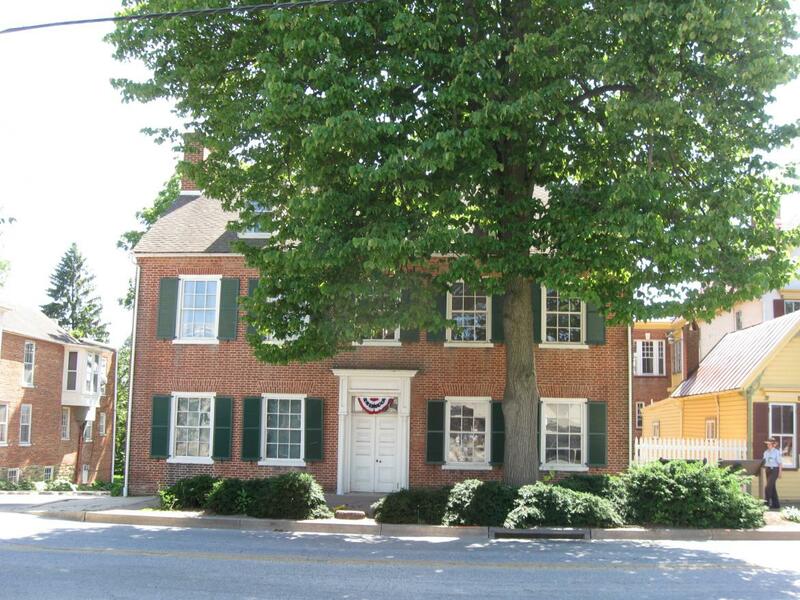 Video #7 was taken across the street from the Mary Shellman House. This map was created facing north at approximately 7:00 PM on Wednesday, June 24, 2009. 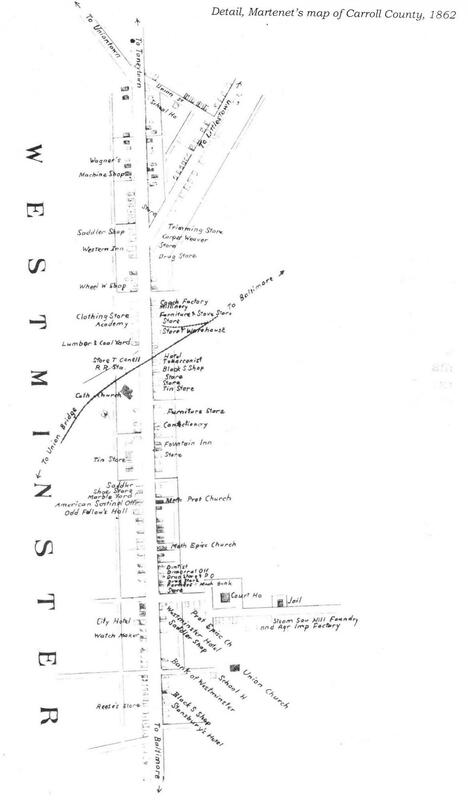 An 1862 map of Westminster, Maryland. This map, which is oriented to the northwest, was scanned at approximately 4:00 PM on Wednesday, June 17, 2009. 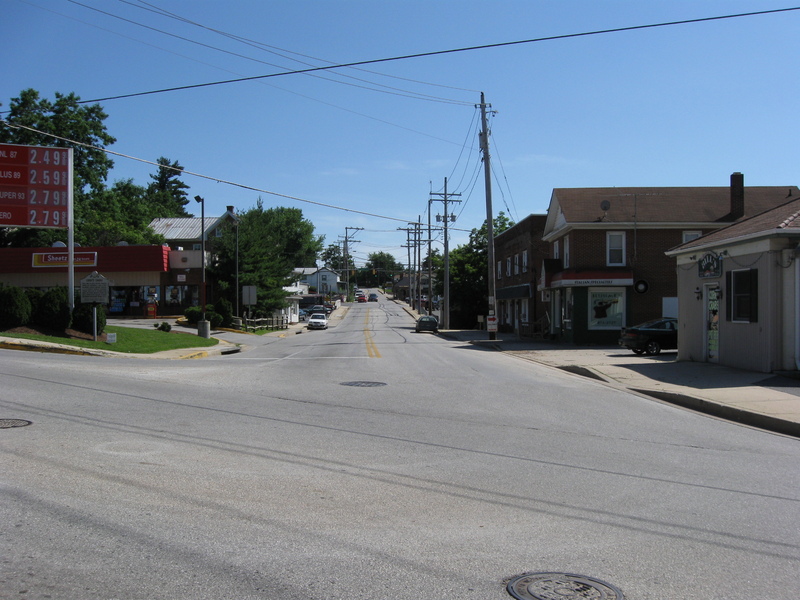 Confederate Cavalry first met members of the 1st Delaware Cavalry near this intersection of Washington Road (Maryland Hwy 32) entering Westminster from the left (southwest) and East Main Street which “runs” away from the camera. This view was taken facing northwest at approximately 4:00 PM on Sunday, June 14, 2009. 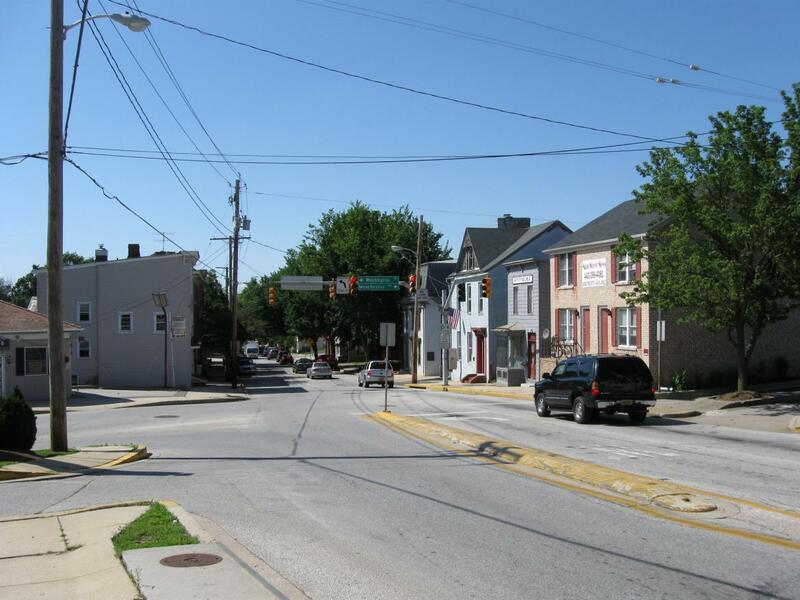 We are at the intersection of East Main Street and the Washington Road. As we look down the Washington Road, notice the traffic light in the distance. Some of the heaviest fighting took place in that area. This view was taken facing southwest at approximately 4:00 PM on Sunday, June 14, 2009. 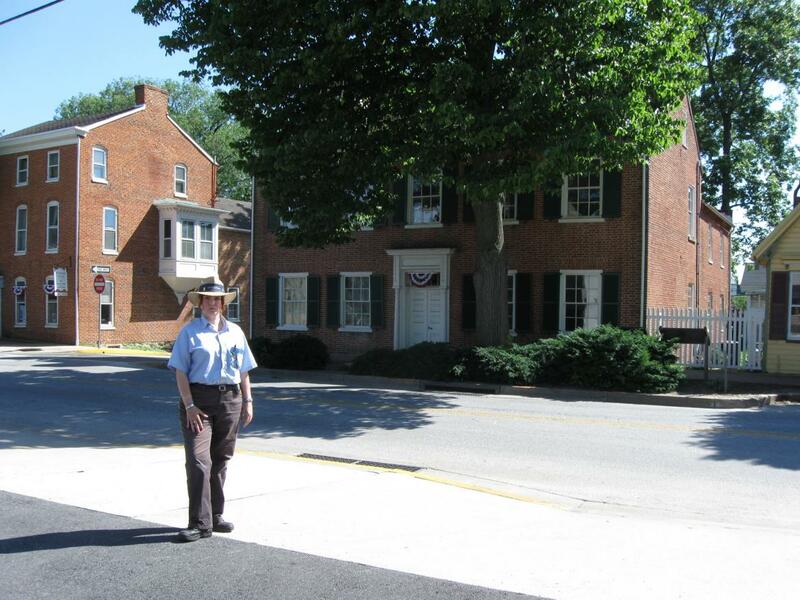 Gettysburg Licensed Battlefield Guide Hope Coates is our host for this series on Westminster. East Main Street is behind her. 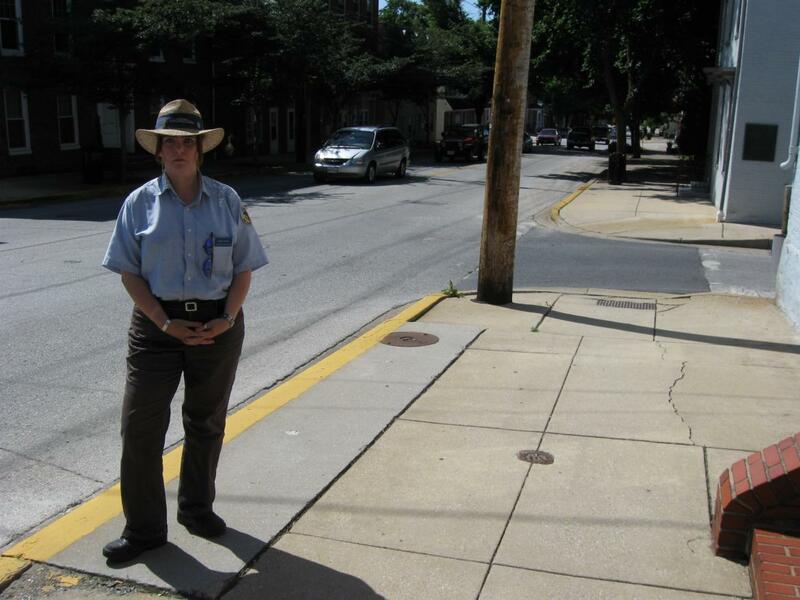 In the right background is a white building on the site of the blacksmith shop where members of the 1st Delaware Cavalry were having their horses shod the morning of June 29, 1863. This view was taken facing northwest at approximately 4:00 PM on Sunday, June 14, 2009. In Video #5 (Videos #1-4 were shown in our previous Westminster post) Gettysburg Licensed Battlefield Guide Hope Coates explains how the first contact occurred between Union and Confederate cavalry in Westminster. This view was taken facing northwest to southwest at approximately 4:00 PM on Sunday, June 14, 2009. 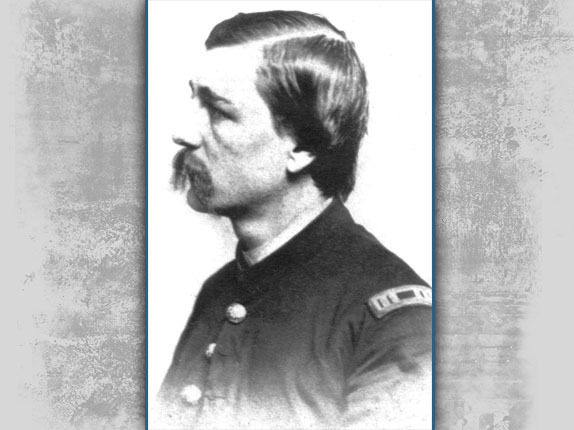 In Video #6 Licensed Battlefield Guide Hope Coates discusses how Captain Charles Corbit of the 1st Delaware Cavalry led his soldiers against the 4th Virginia Cavalry. This view was taken facing northwest to southwest at approximately 4:00 PM on Sunday, June 14, 2009. 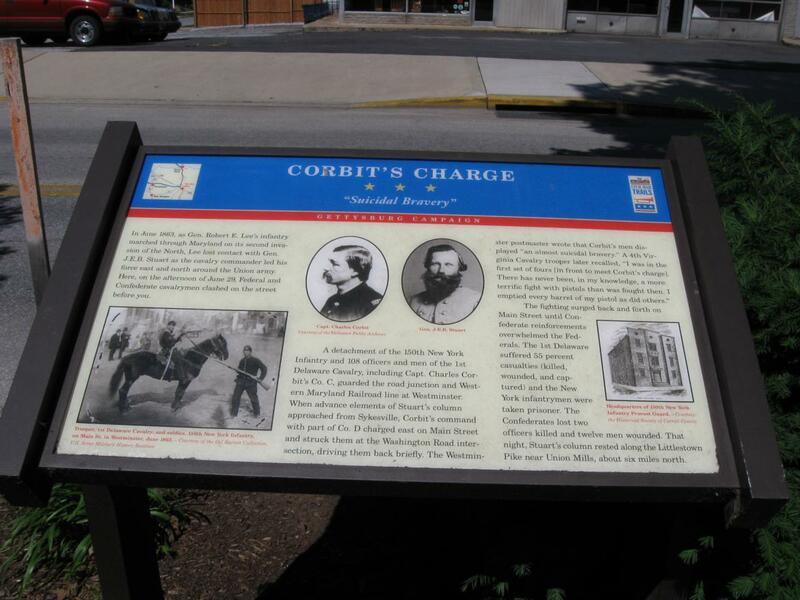 This wayside near the Mary Shellman House discusses Corbit’s Charge. This view was taken facing northeast at approximately 4:00 PM on Sunday, June 14, 2009. Hope Coates is standing across East Main Street from the Mary Shellman House. This view was taken facing northeast at approximately 4:00 PM on Sunday, June 14, 2009. In Video #7 Hope Coates discusses the end of the Battle of Westminster, and the casualties incurred by both sides. This view was taken facing southeast to northwest at approximately 4:00 PM on Sunday, June 14, 2009. The Shellmans were a prominent local family. Colonel James M. Shellman (who died in 1851) had been an attorney, the first burgess of Westminster, a member of the Maryland Legislature, and a Maryland Militia officer. His wife Catherine was the daughter of Philip Jones (1780-1835), a Westminster merchant, and his wife Mary Beam (c.1786-1841). Catherine Jones Shellman operated a school out of this house. To the Shellmans were born Fanny Cheston Schley Shellman (1842-1909), Harry Jones Shellman (1843-1894), Mary Bostwick Shellman (1849-1938) and James Meriwether Shellman, Jr. (1851-1922). This view was taken facing southwest at approximately 4:00 PM on Sunday, June 14, 2009. 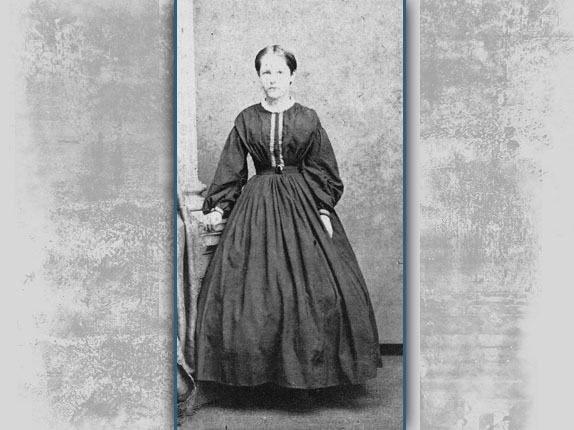 A photograph of Mary Shellman, the 13 year old girl who witnessed the Battle of Westminster from her home on East Main Street. 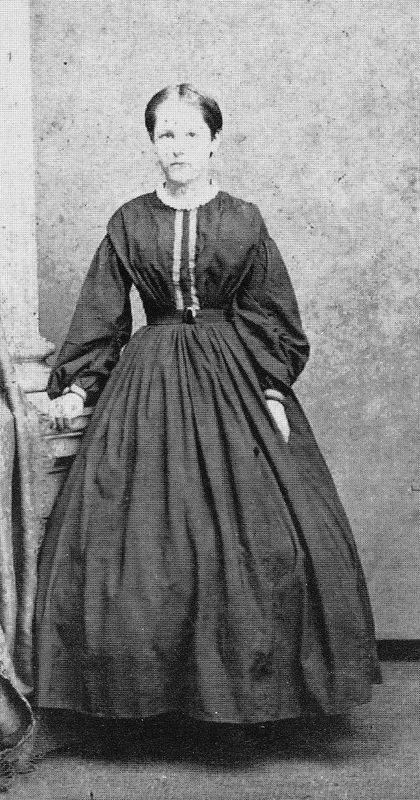 This photograph was taken circa 1863.